Last week we had another great Creative Healthy Cooking Class… the theme was Lebanese cuisine, and WOW was it delicious!!! 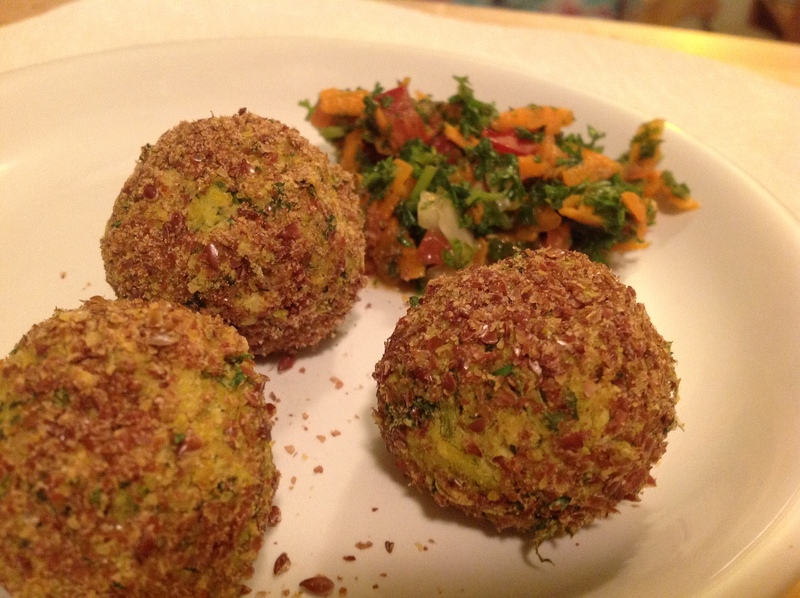 We made baked and lightly sautéed falafel balls. The baked ones (that look fried) are actually covered in freshly ground flax meal to really up the nutritional profile… not that the dinner needed it with all that parsley. We also made tabouli, tahini sauce (with unhulled sesame seeds to maximize the calcium content), and of course hummus. Grind the flax seed to make flax meal and set aside. Then add all other ingredients into a food processor and blend until uniform in consistency. Should be able to form mixture into balls (slightly larger than golf ball size). 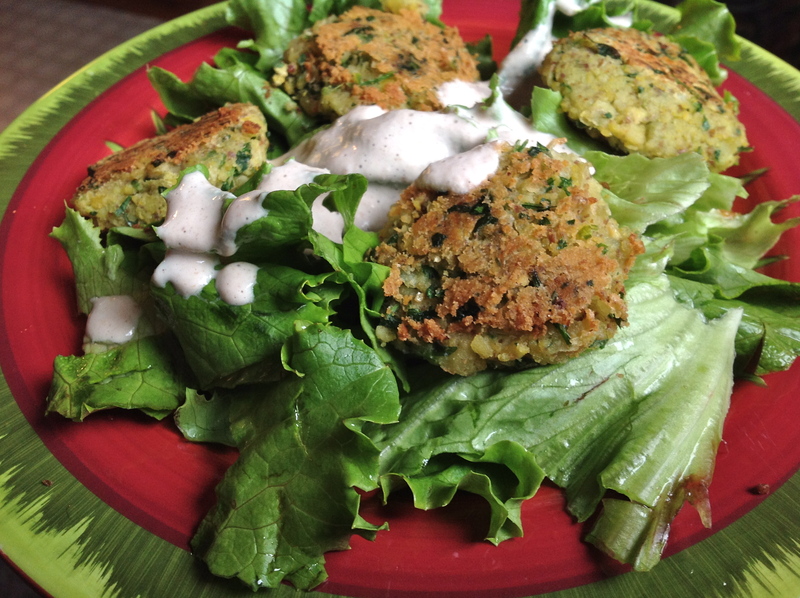 Then take flax mixture to coat the outside of falafel balls and bake in oven at 350 for 15-20 minutes until crispy. Enjoy with tahini or in a sandwich, wrap or on top of a salad. Blend ingredients together in blender until smooth consistency. Can add lemon zest for more lemony flavor as well. Makes a great salad dressing (if you add a little more water and vinegar) or use as a dip for veggies or to slather on steamed greens… delicious! !